Main Point: When I’m Scared God Helps Me Be Brave! For the past eight weeks children have learned how to BUST their fears with truth from God’s Word. This weekend, children trained to become FearBuster field agents, like Agent Lou True, to BUST the fears of their friends and family! 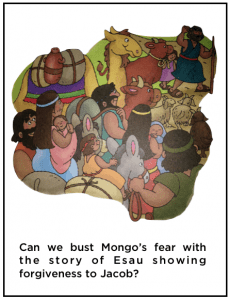 To be a FearBuster’s field agent you need to look in the Bible and find a Bible story to BUST away a fear! 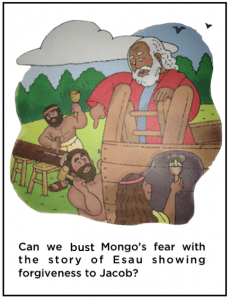 Let’s find a Bible story to BUST Mongo’s fear, find someone who is scared, and finally share what God’s Word says to help them BUST their fear! Agent Lou True shared that he had a monster friend named Mongo Monster who was afraid of puppy dogs. Mongo was scared the puppies would bite him! Since we found someone who was scared – Mongo Monster – children were challenged to find a Bible story during eGroup to help Mongo Monster learn, “When I’m Scared God Helps Me Be Brave!” During eGroup, children were given different Bible stories to choose from that would help Mongo monster learn how to be brave. Children chose to share the story of Daniel with Mongo Monster. Daniel loved God and prayed to Him three times each day. Others didn’t like this, so they got the king to agree to throw anyone praying to God into a den of lions! Daniel loved God and continued to pray to Him each day. 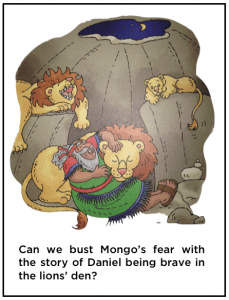 This made the king sad because Daniel broke the law, which meant the king had to throw Daniel into a den of lions. While in the den of lions, God sent an angel to protect Daniel. 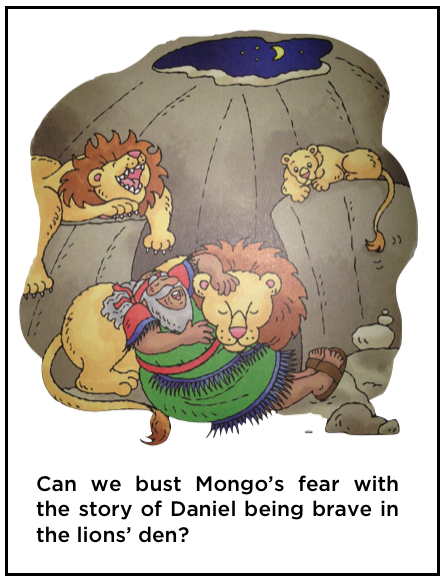 Daniel didn’t have to be scared to be thrown in the lions’ den. He could be brave because God was with him! Quest children did a great job training to be a FearBusters Field Agent! 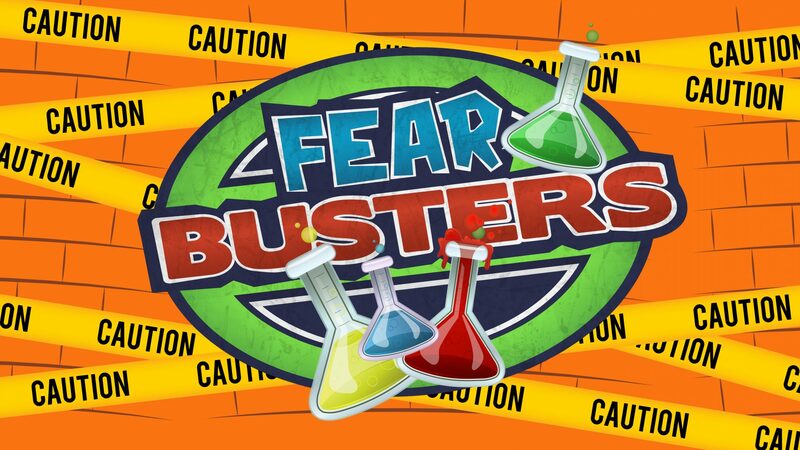 They found a story in the Bible, found a monster friend who was scared, and shared God’s Word to BUST a fear and teach Mongo Monster, “When I’m scared, God helps me be brave!” Quest children became official FearBuster’s agent and can help BUST anyone’s fears with truth from God’s Word!